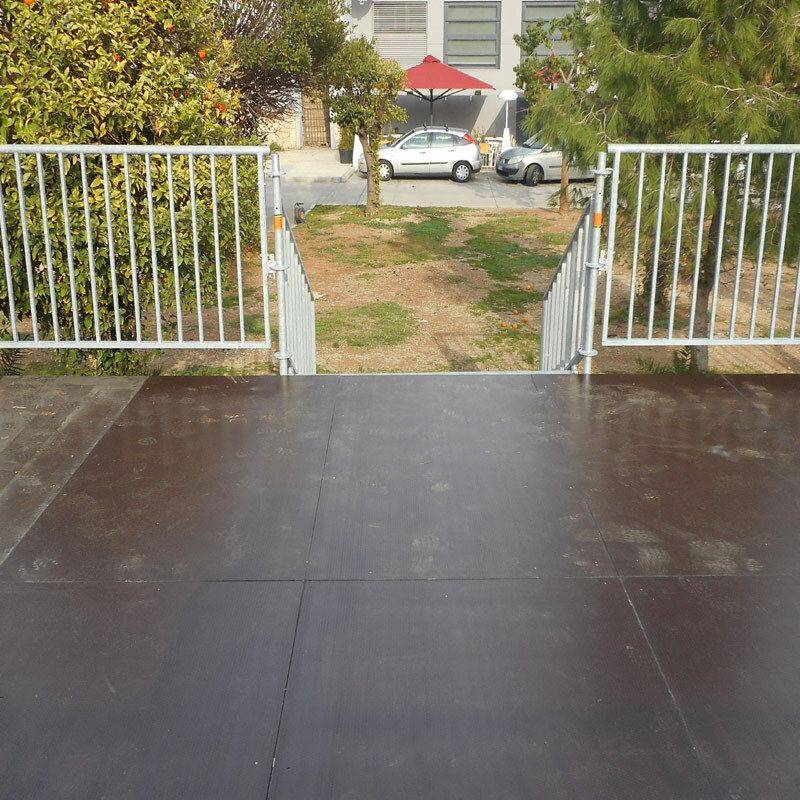 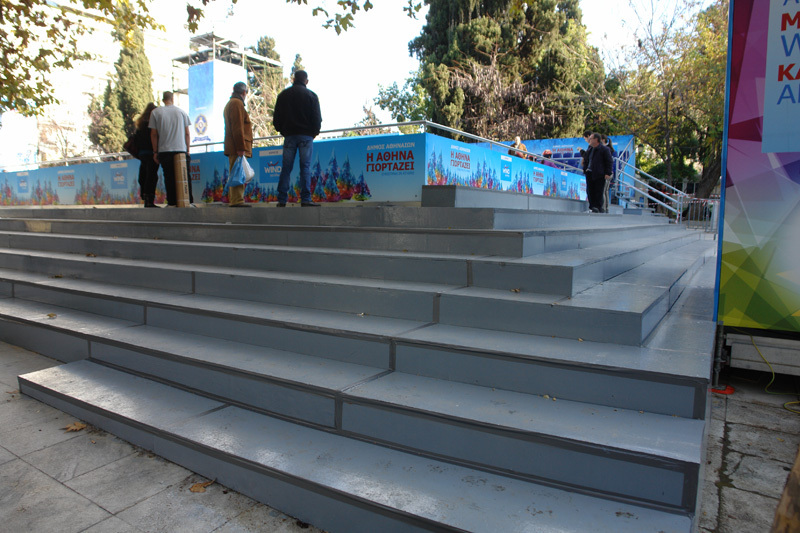 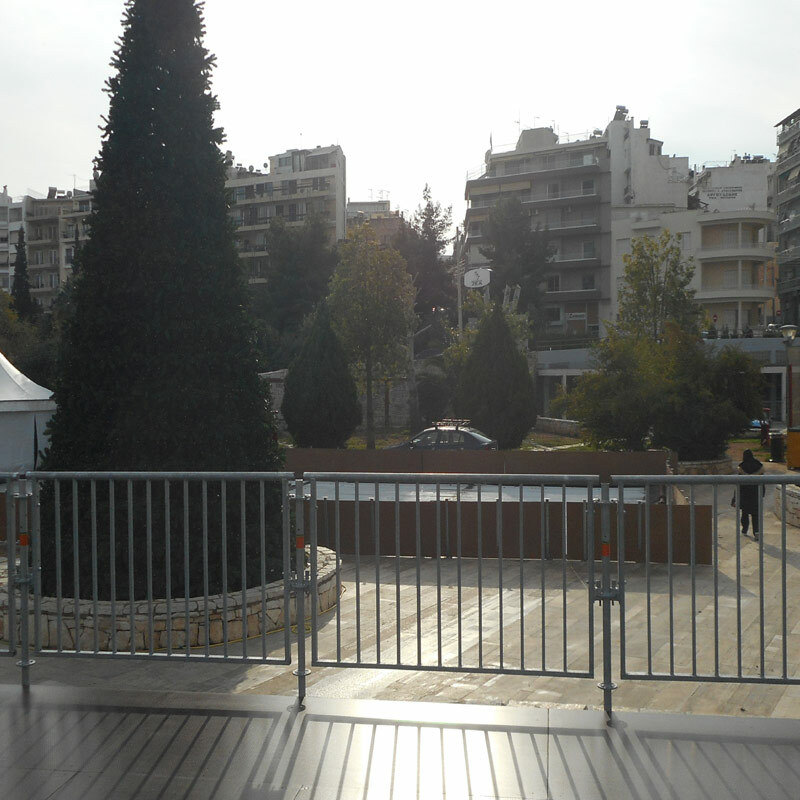 ALUMINUM STAGE IN FRONT OF THE CHURCH IN MAVROMICHALI STR. 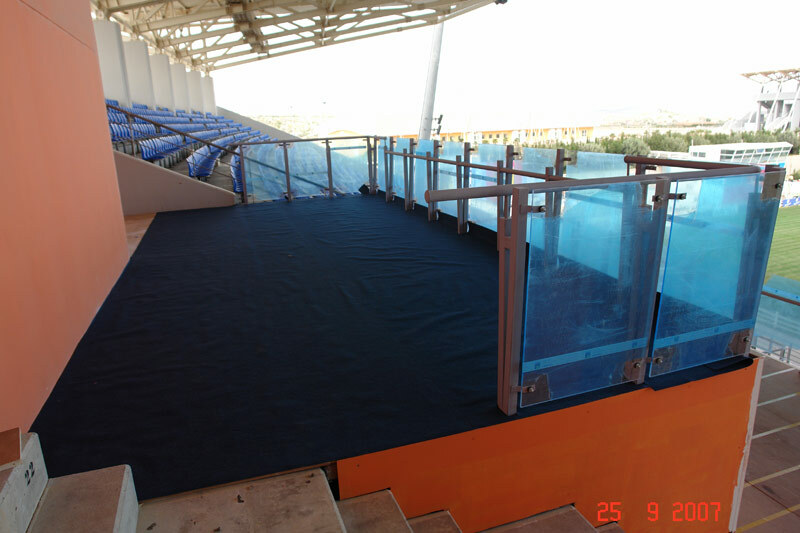 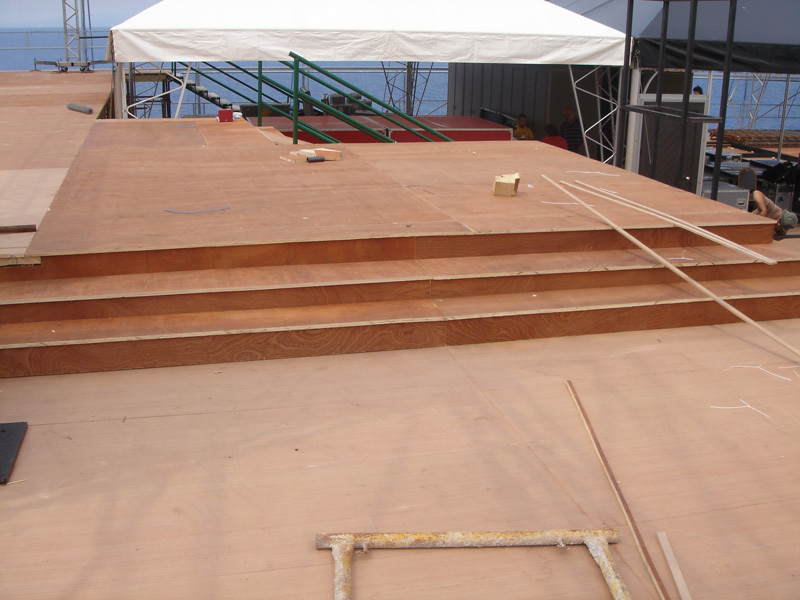 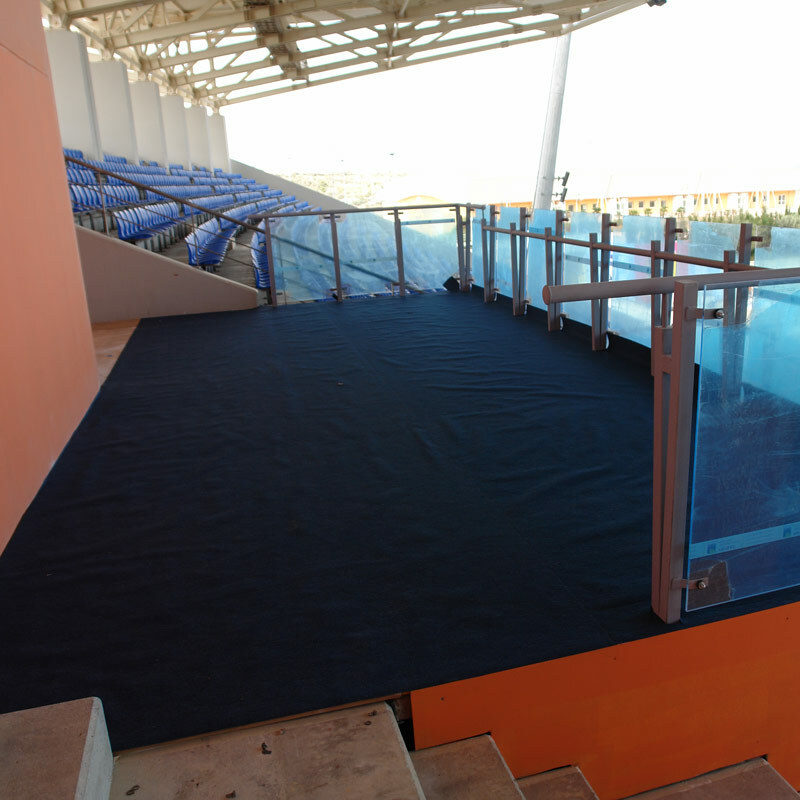 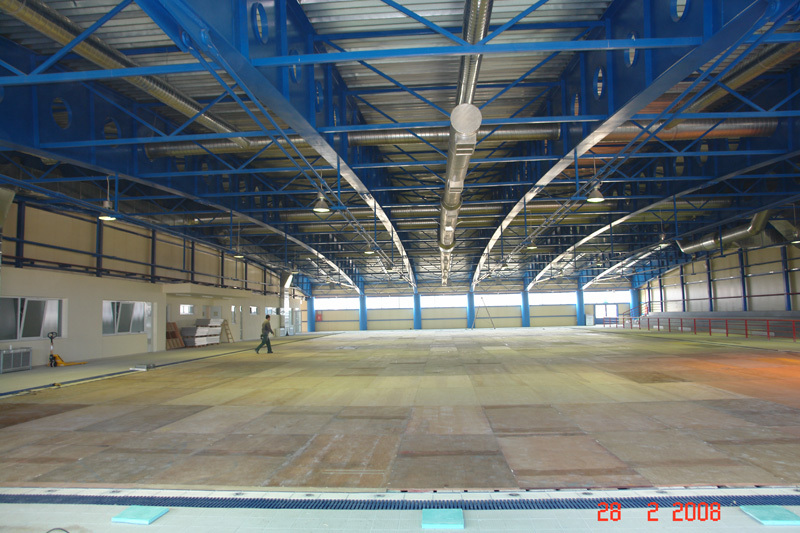 Erection of a 48sqm stage with anti-slip final surface in Marina Zea, Pireaus, for the 2018 Christmas celebrations. 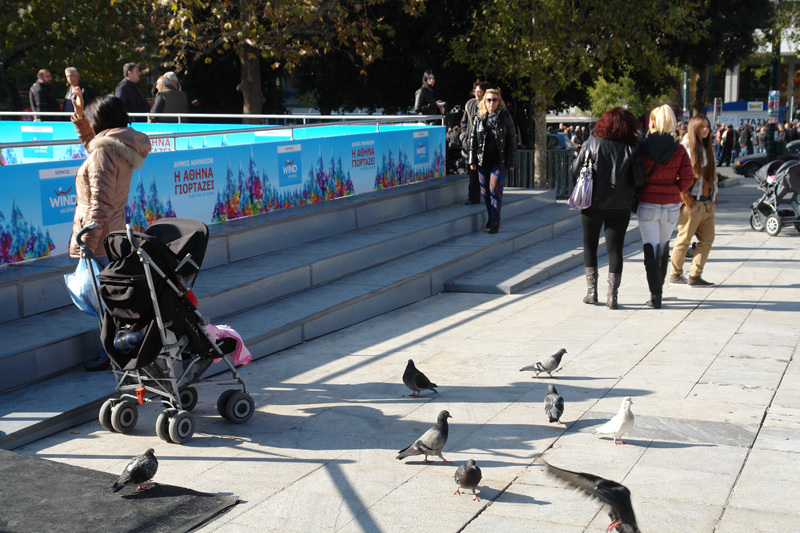 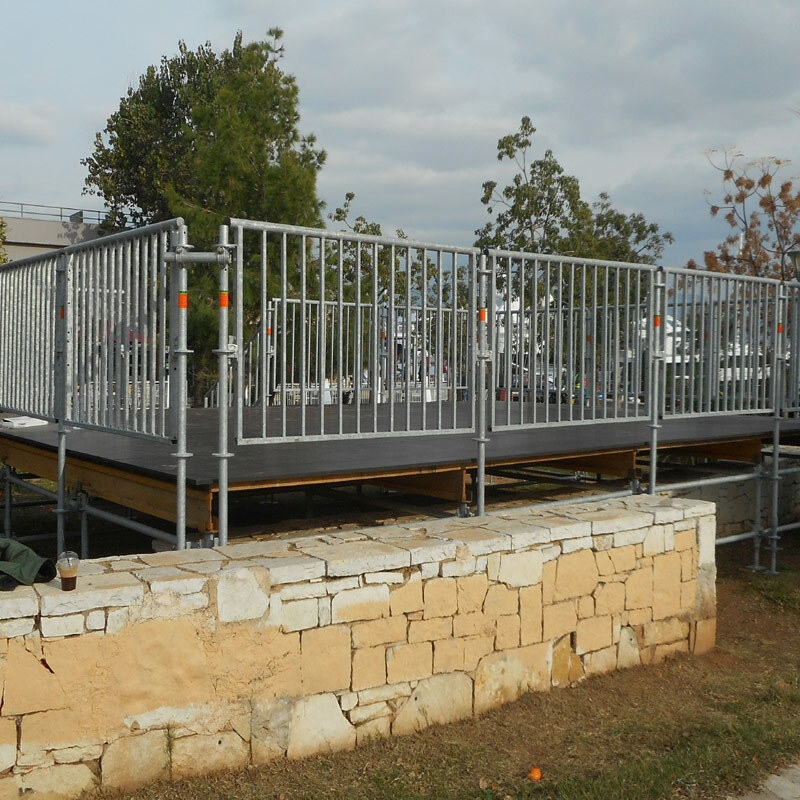 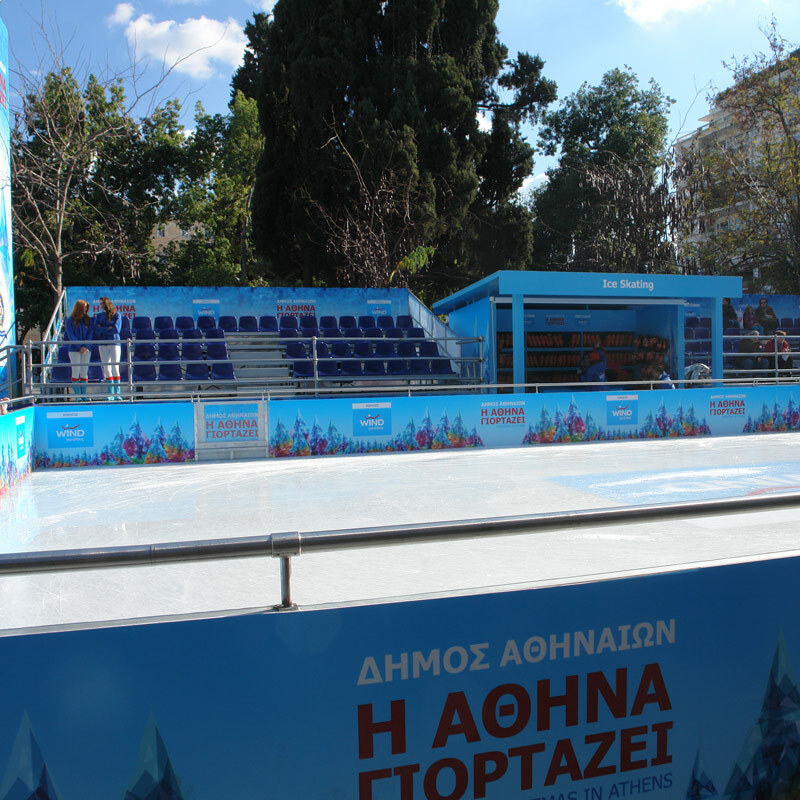 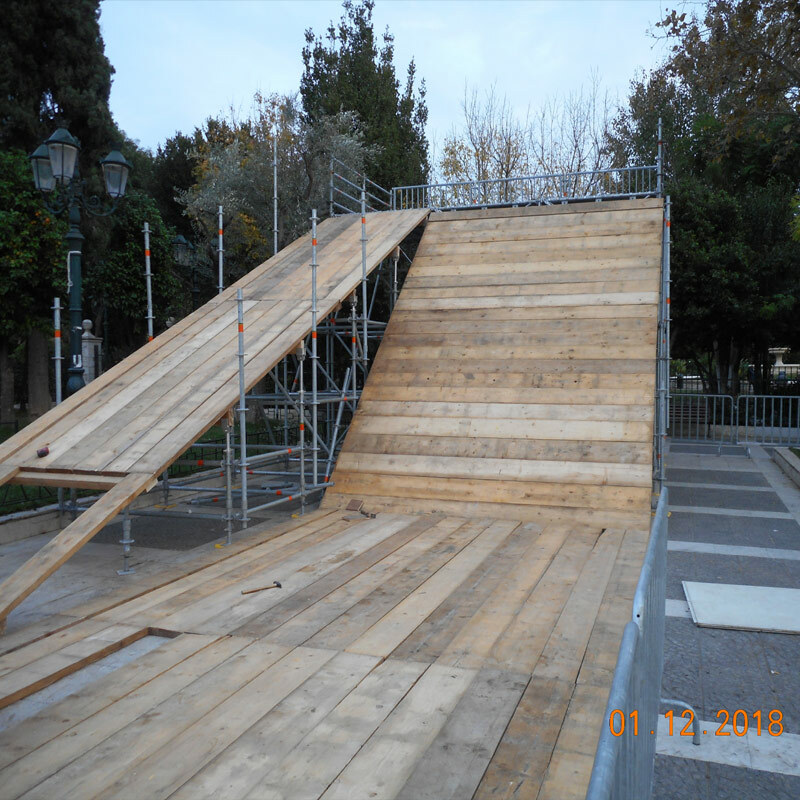 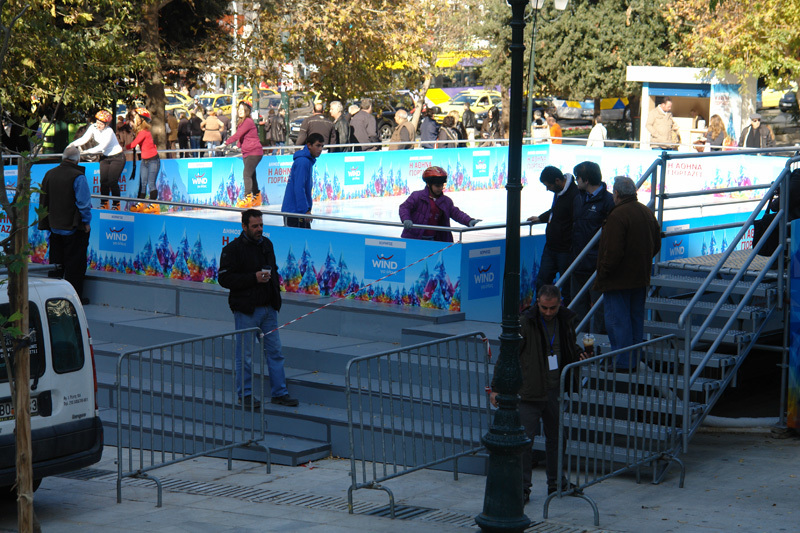 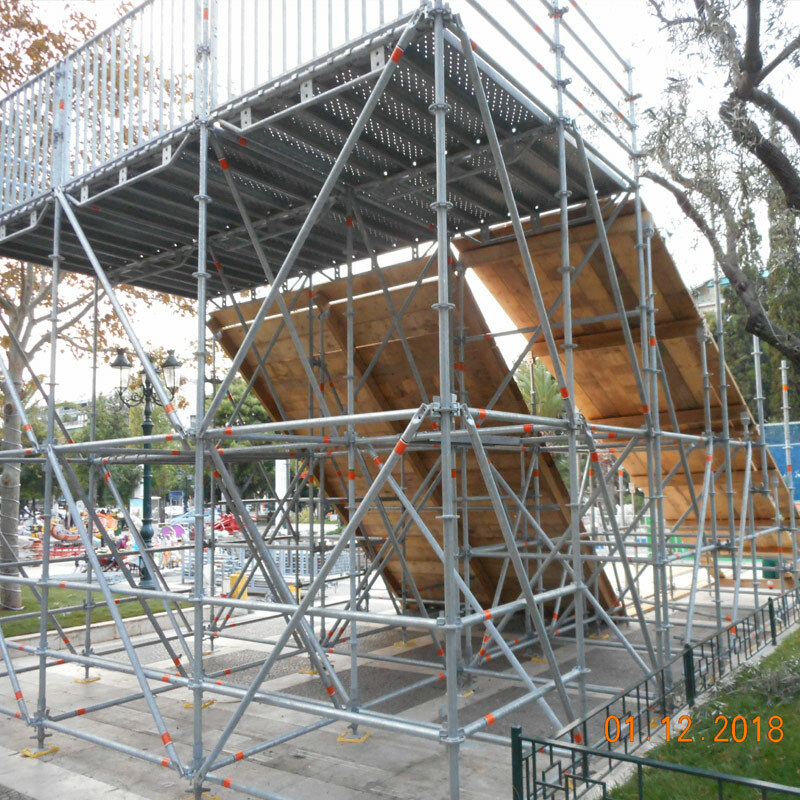 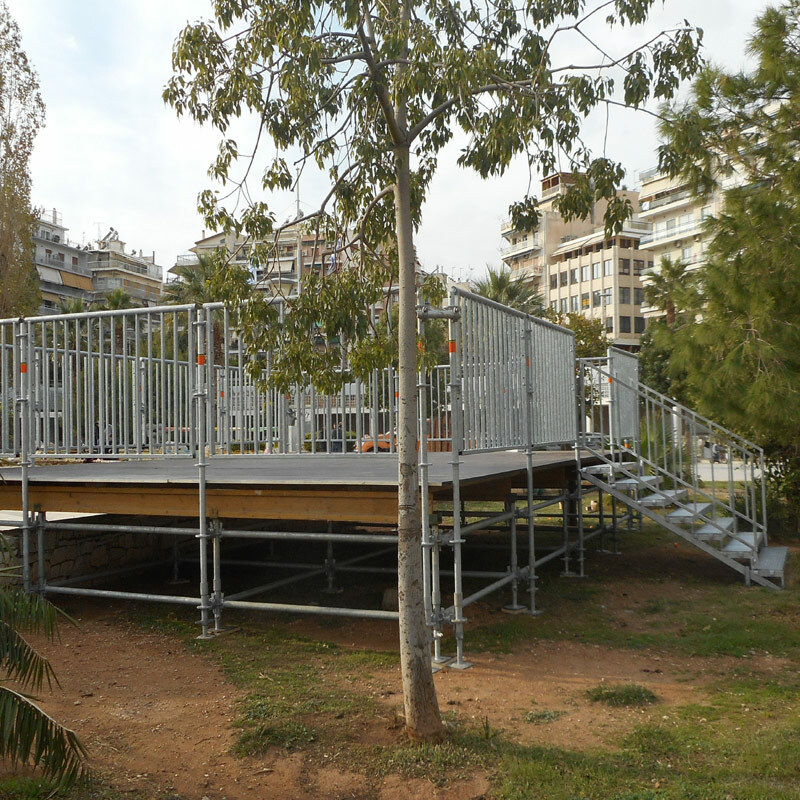 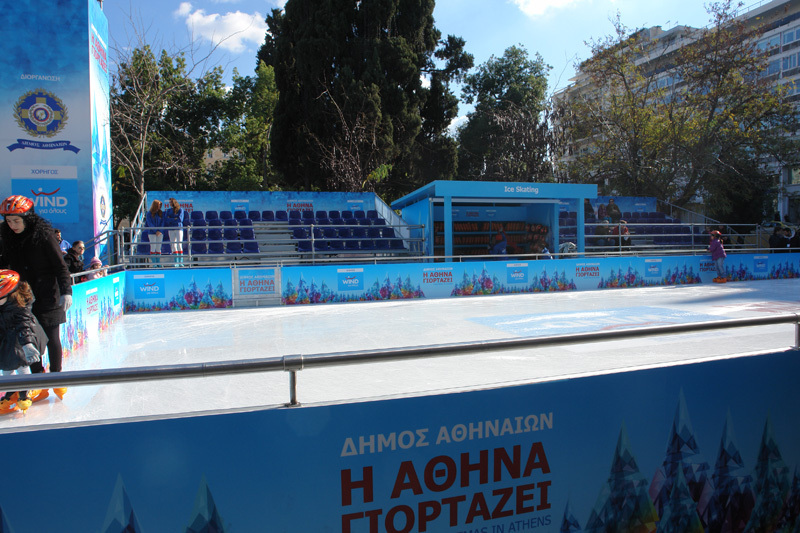 Erection of a stage/slope with total length of 15,00m and maximum height 4,00m in Davaki Square, Kallithea, for the 2018 Christmas period. 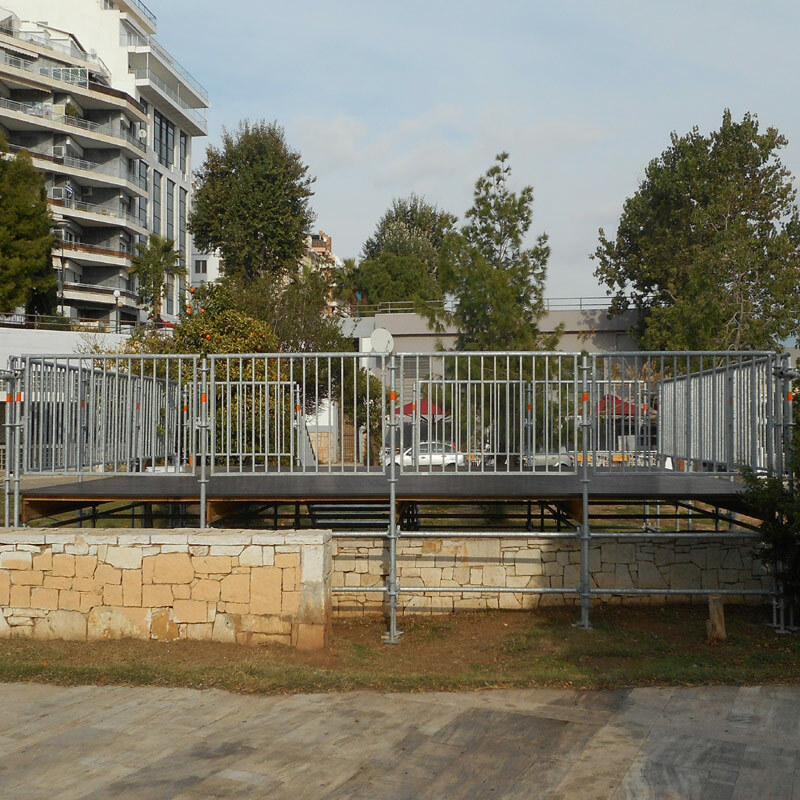 PROJECT:Settling, hiring and disassembling of an aluminum stage in front of the Church in Mavromichali Str. 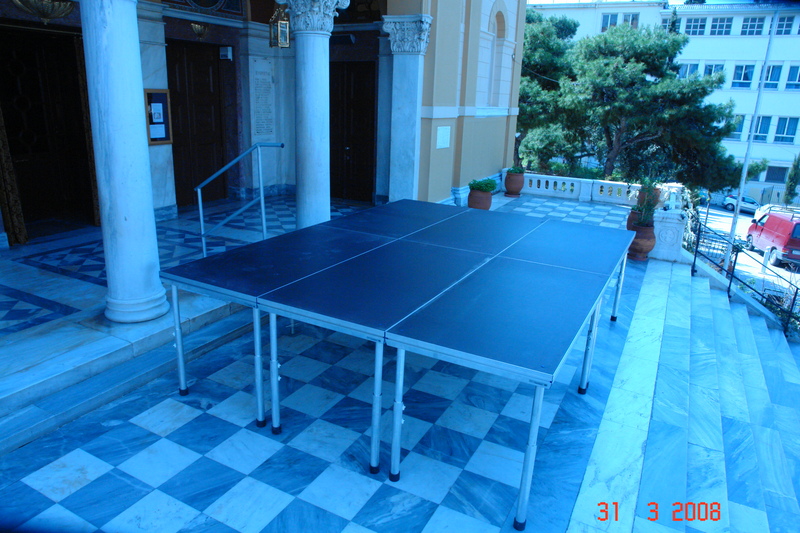 in 2008. 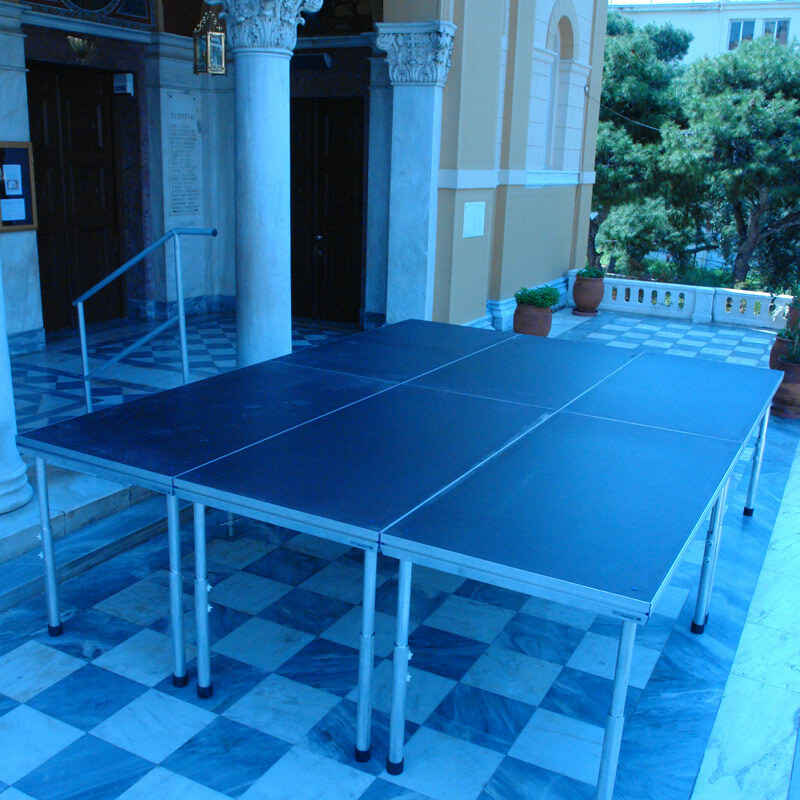 For the speeches of the Churches holy fathers, our company placed an aluminum stage of 12m2 in front of the Church. 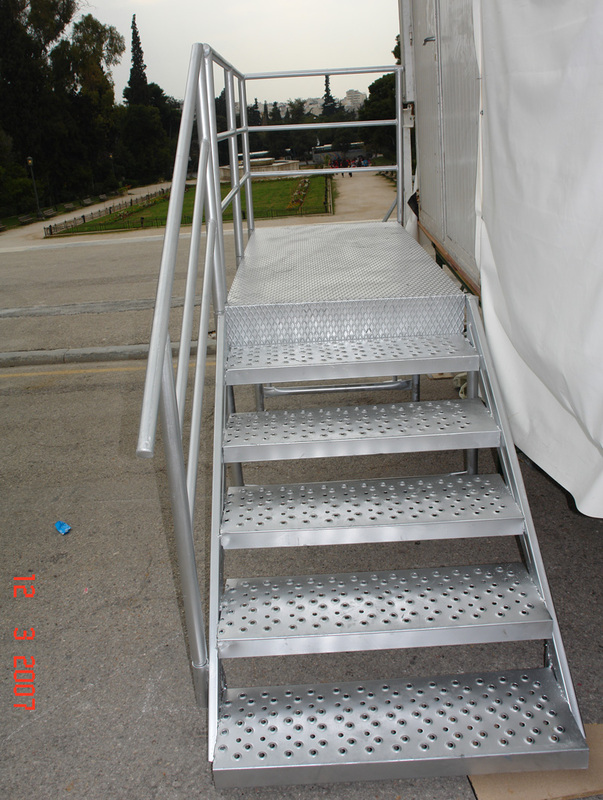 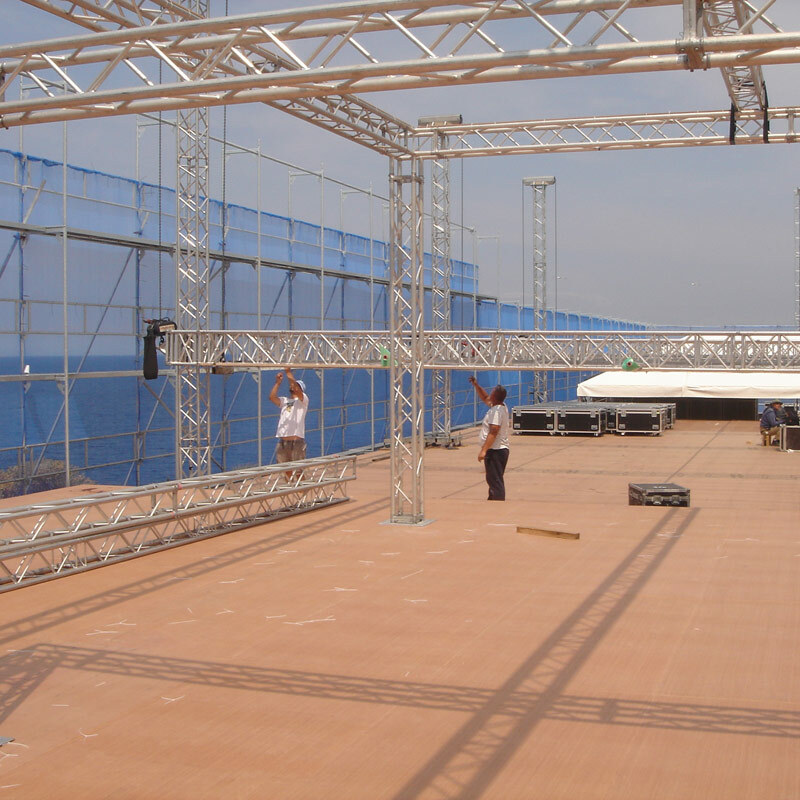 The stage’s advantage is its low weight, its durability and the erection speed. 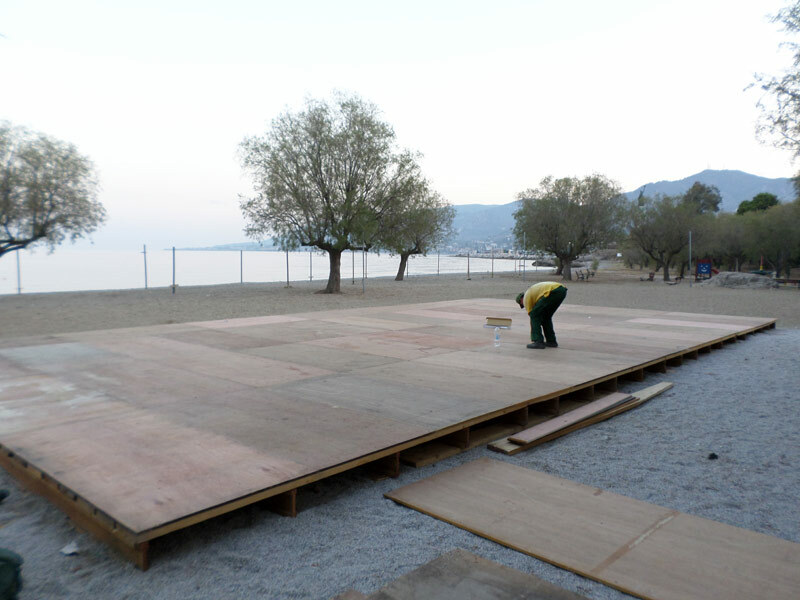 PROJECT:Settling, hiring and disassembling of plywood stage at a beach in Mitilini Island in 2014. 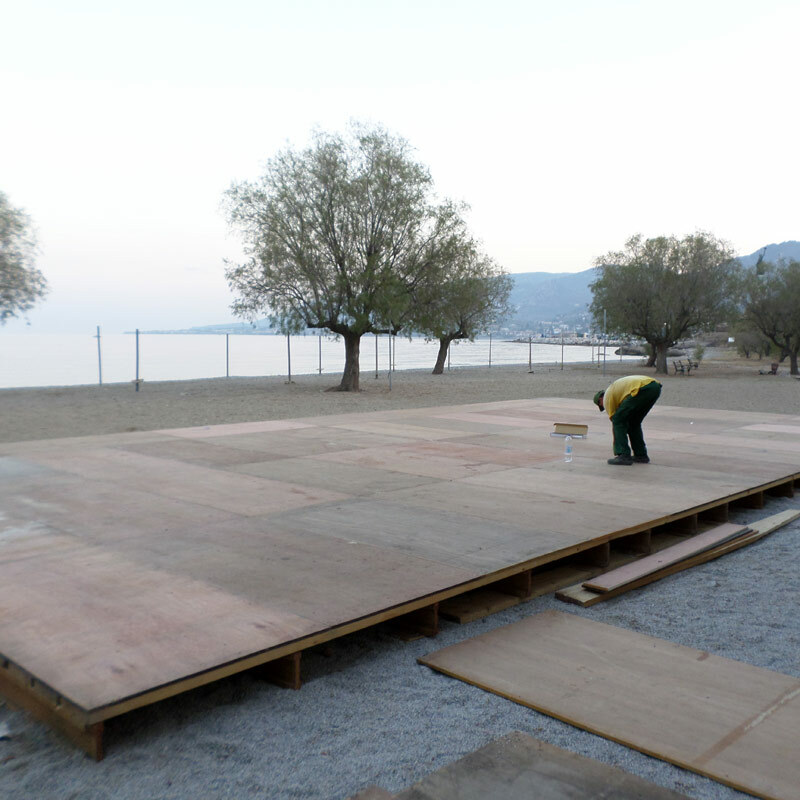 For a Theatrical Show needs, our company placed at a beach in Mitilini Island a wooden stage in order to create a level floor. 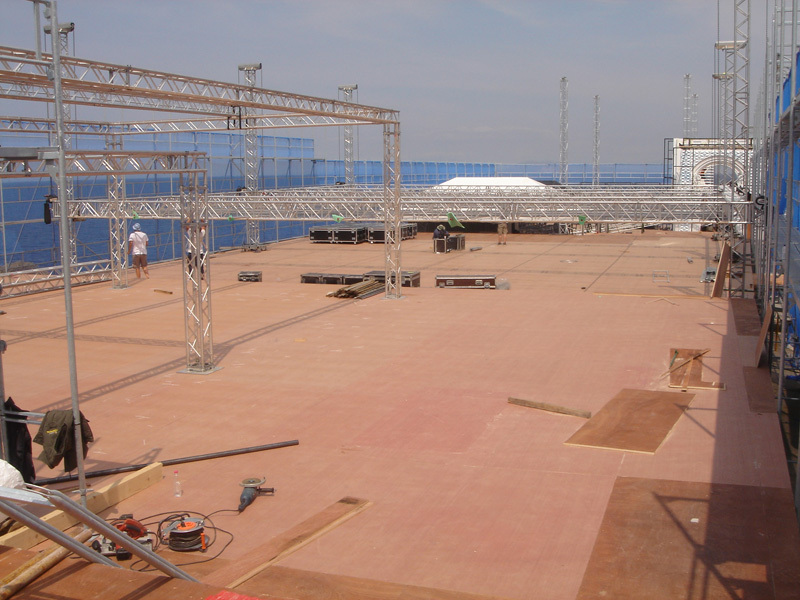 The stage’s total surface was 130m2. 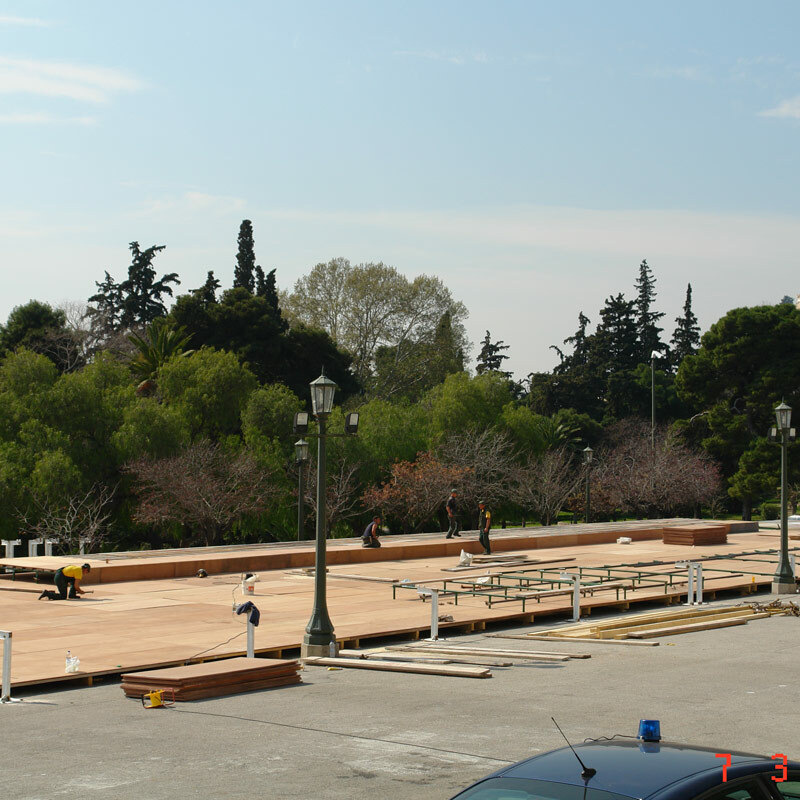 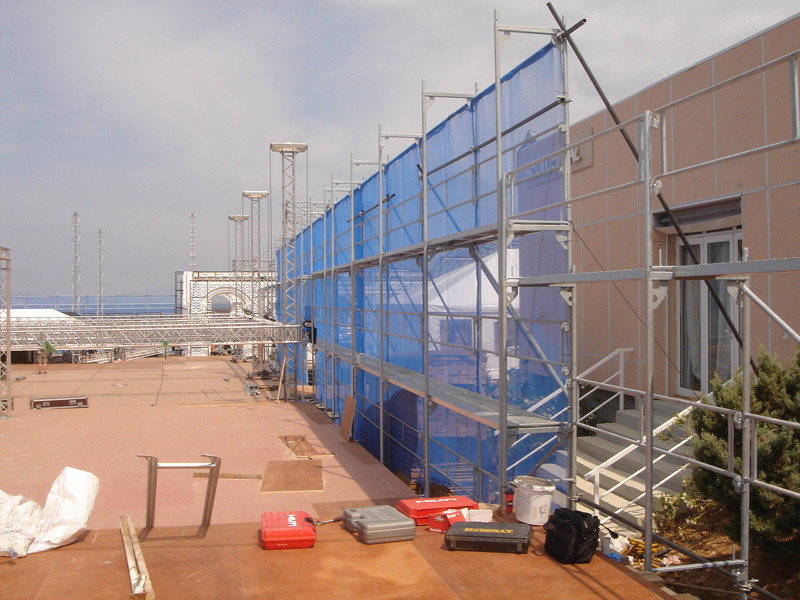 PROJECT: Settling, hiring and disassembling of a stage for the visit of Pope John Paul the Second at Acropolis in 2001. 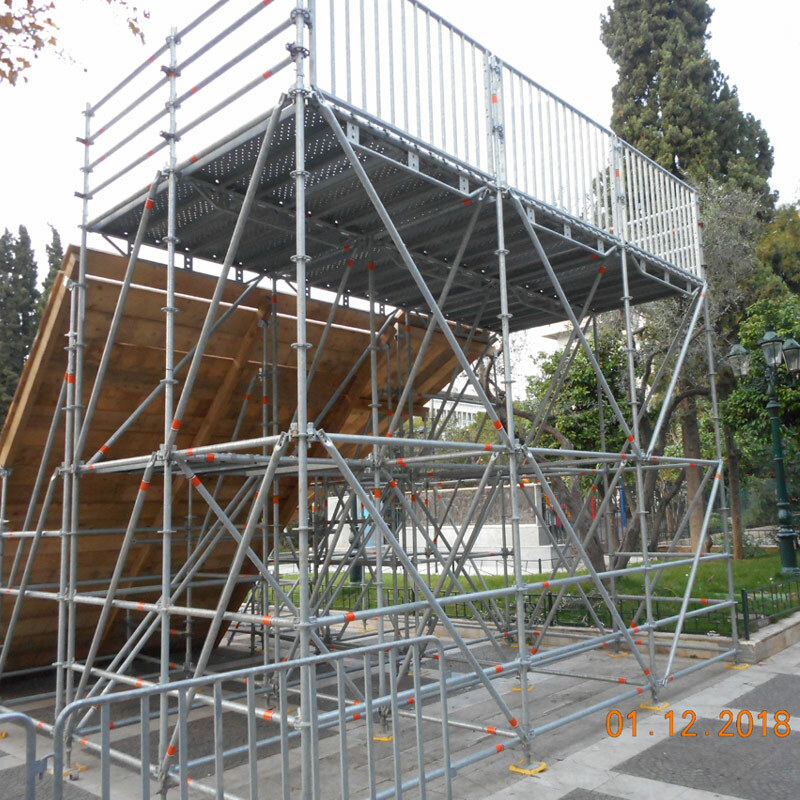 For the visit of the Pope, our company was asked to build a stage with wooden final surface under the Acropolis and more specifically at the point where Paul the Apostle gave his speech. 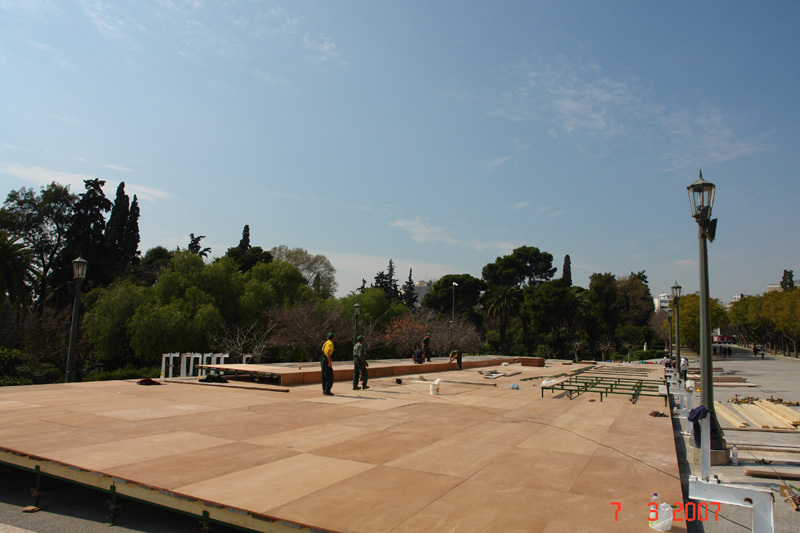 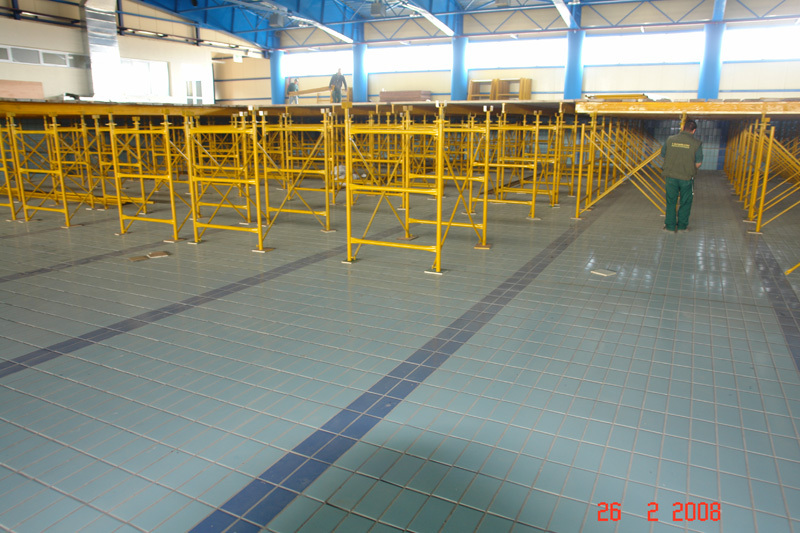 The stage’s total surface was over 200m2. 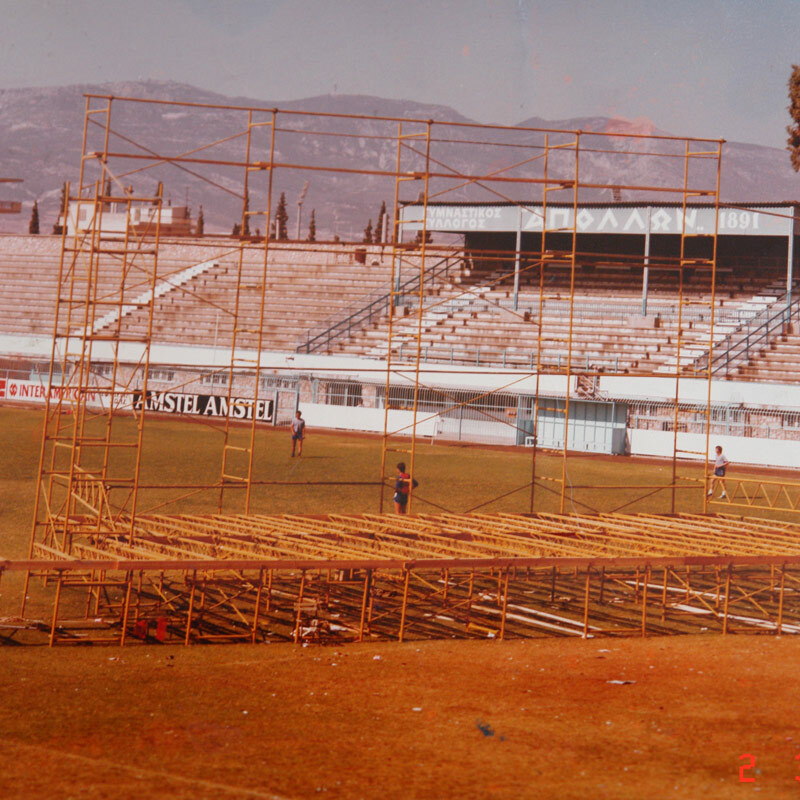 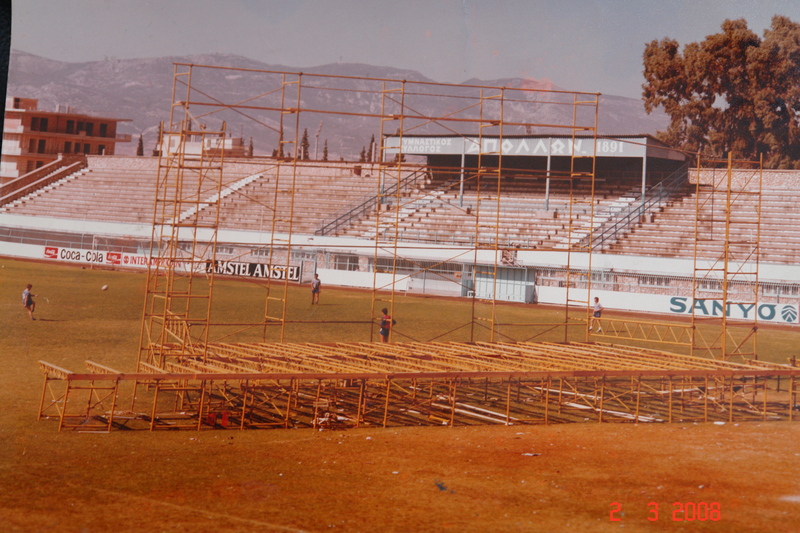 PROJECT: Settling, hiring and disassembling a concert stage at the Rizoupoli Stadium in 1978. 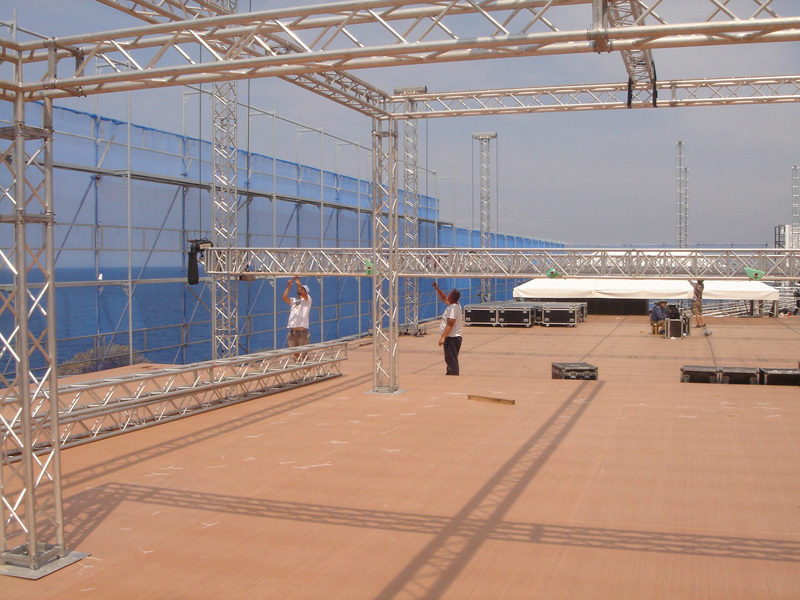 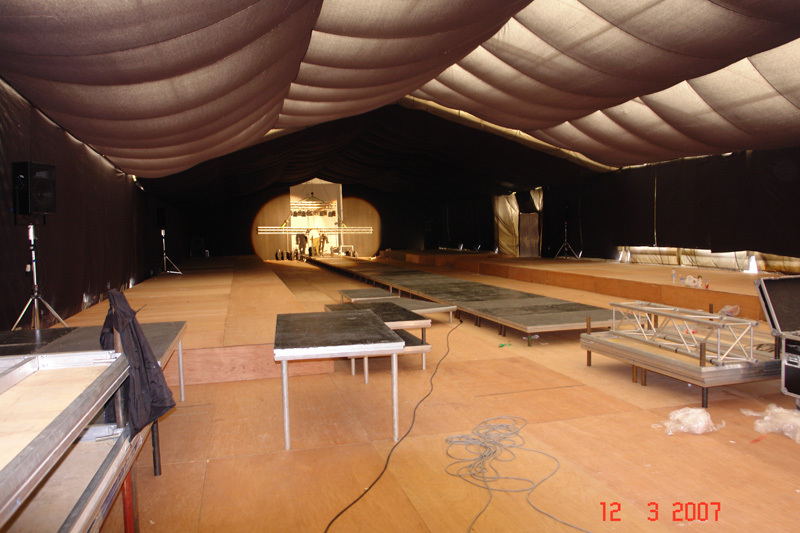 The photo was taken during the stage’s erection. 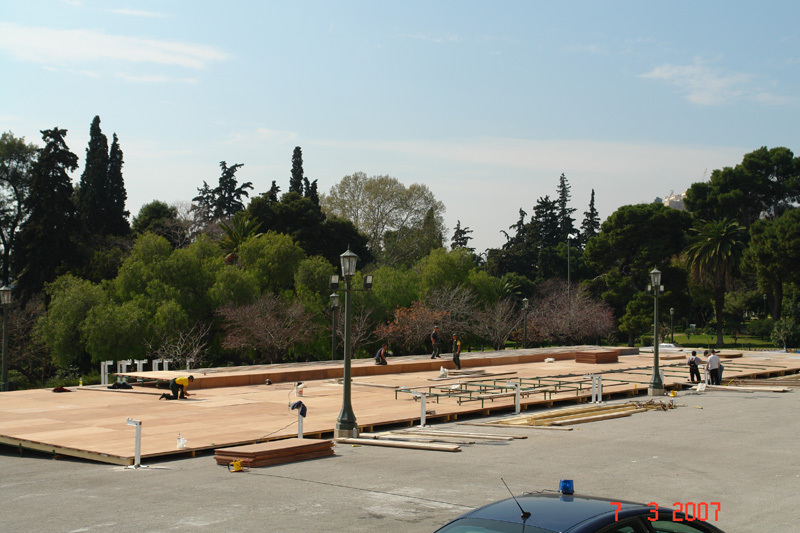 PROJECT: Settling, hiring and disassembling of a stage for the needs of the Athens Fashion Week Show in front of Zapeio. 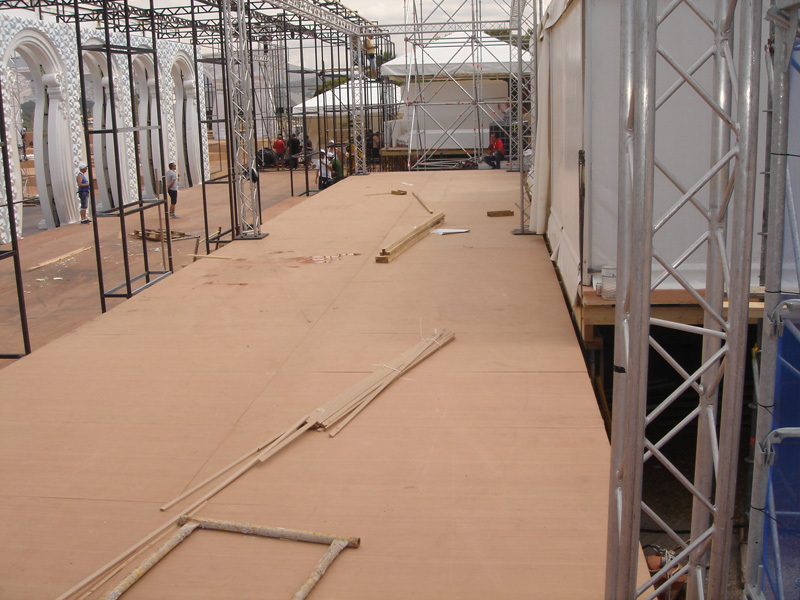 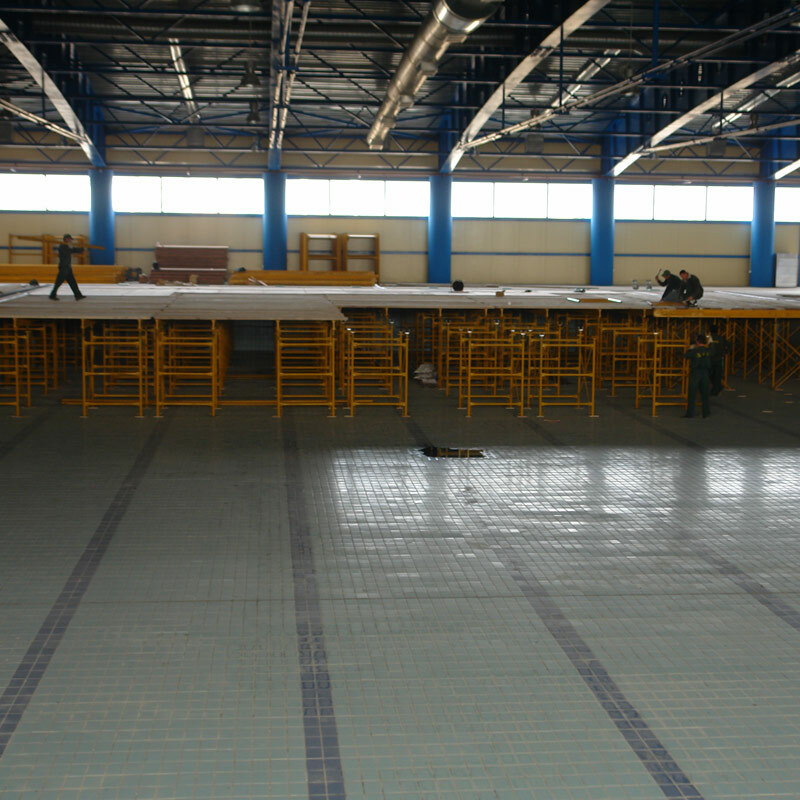 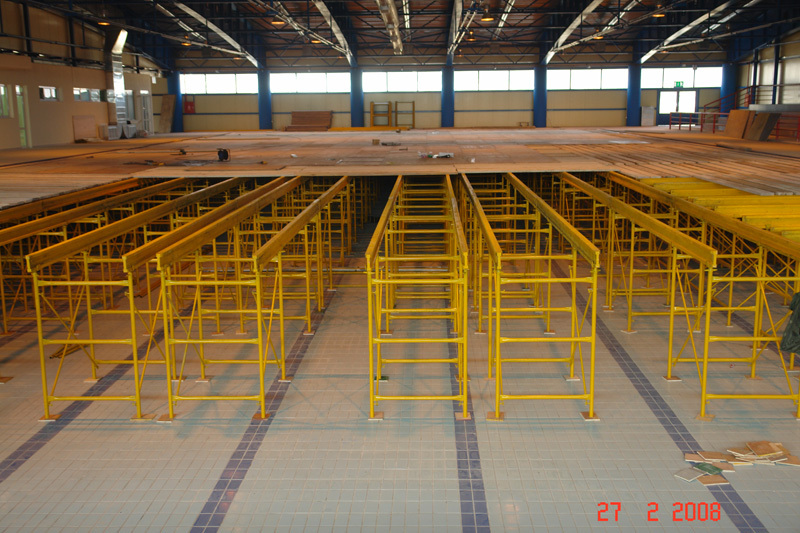 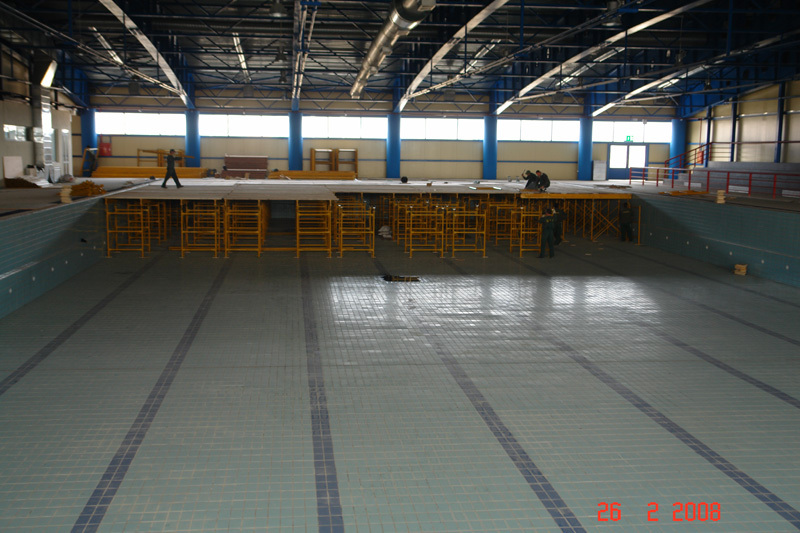 In order to create the Runway and a space suitable for the audience of the Show, our company placed stages of 1100m2 of total surface in three different levels.